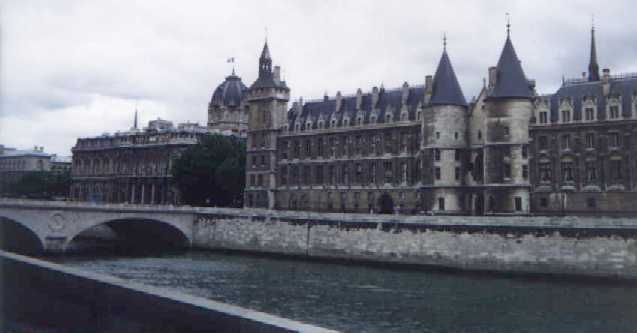 Part of the first palace of the Capetian kings of France (They later moved to the Louvre palace), the Conciergerie became the first Paris prison in 1391. It became famous during the 1789 French revolution: in 1793 and 1794, 2780 men and women were sentenced to death and detained in the Conciergerie until they left for the Concorde where they were beheaded. Marie-Antoinette, queen of France and sister of the king of Austria, was among them. 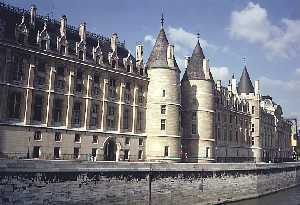 The Conciergerie deserves a visit for its history and Gothic architecture. 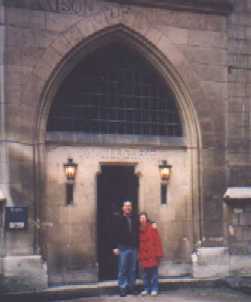 It includes three superb Gothic halls from the 14th century. Its facade on the Seine river (above) is a reminder of Paris during the Middle Ages. 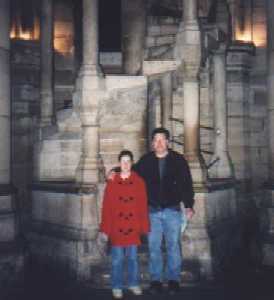 My daughter and I are at the entrance to the Conciergerie. We're inside the dreaded Conciergerie! Right around the corner from the Conciergerie is the L'Horloge shown at the left. 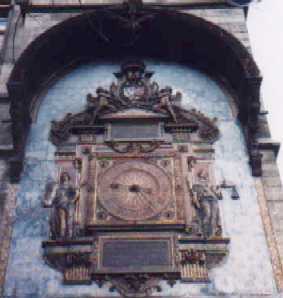 This is the oldest clock in Paris.